Select Search, LLC helps top companies and organizations recruit to staff the finest quality Environmental, Health and Safety personnel. Our experienced recruiters conduct extensive interviews, personally screening every candidate. We place particular emphasis on educational achievement, character, personality and interpersonal skills. Screening thoroughly is essential in Select Search’s recruitment process. 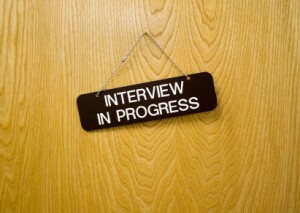 All of our candidates have a formal one on one interview with a Select Search professional. We conduct a comprehensive, skills evaluation to ensure that our candidates have the experience requested by our clients. All candidates are required to provide references to confirm their employment history. With a thorough understanding of the position and a matching job description in hand, Select Search will screen and submit only those candidates who best fit. Our philosophy of building a long term relationship is always in mind when deciding who we believe best fits your position. Each candidate will have formal one on one interviews to determine both their depth of the required skills for the position as well as their personal or soft skills which are essential to be successful. Comprehensive technical screenings will be given to each candidate by a Select Search recruiter. The more thorough we are the less time you spend reviewing prospective employees. Recruiter Notes—Comprehensive notes detailing subjects relative to the job, strengths, areas for improvement, preferences on location, career aspirations, etc. will accompany each resume submittal. These notes typically provide detail on the candidate which may not be evident on a professional resume. Professional References will be provided and usually include former/current Managers, co-workers, or work related professionals.